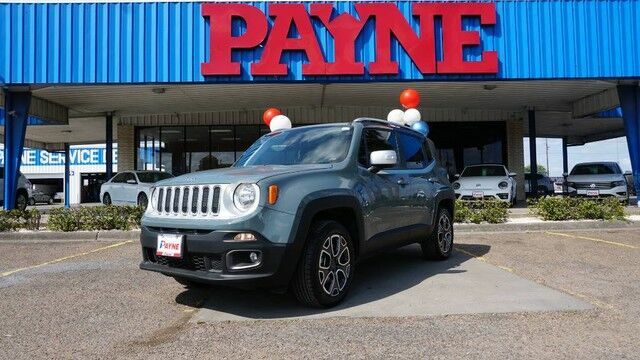 Check out this gently-used 2018 Jeep Renegade we recently got in. This Jeep Renegade Limited has a tough exterior complemented by a well-designed interior that offers all the comforts you crave. This 4WD-equipped vehicle will handle beautifully on any terrain and in any weather condition your may find yourself in. The benefits of driving a 4 wheel drive vehicle, such as this Jeep Renegade Limited, include superior acceleration, improved steering, and increased traction and stability. Driven by many, but adored by more, the Jeep Renegade Limited is a perfect addition to any home. This is the one. Just what you've been looking for.